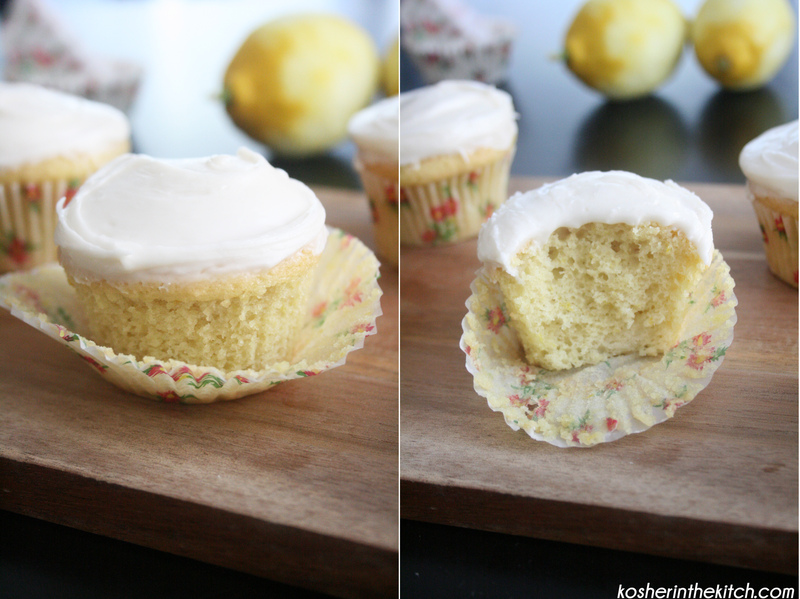 Lemon Cupcakes with Buttercream Frosting - Kosher In The Kitch! Lemon Cupcakes with Buttercream Frosting - Kosher In The Kitch! These cupcakes are light and fluffy with just a hint of lemon (which in my opinion, is just the right amount!) The tart lemon, and the sweet buttercream frosting make for an addicting combination! I whipped up a batch of these this weekend, to test out the recipe and not a single cupcake is left. Combine ingredients in a large mixing bowl. Using an ice cream scooper, fill up 16 regular sized cupcake holders with batter. (each cupcake holder should be about 3/4 full) Bake on 350 for 20-25 minutes or until toothpick inserted comes out clean. Let cool off then frost with buttercream frosting. 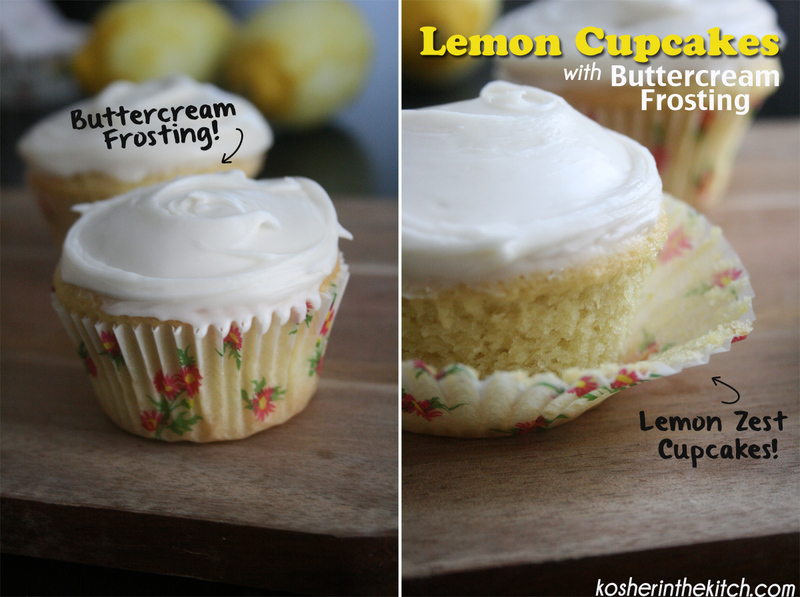 You can top the cupcakes with fresh lemon zest or candied lemons! Cream together ingredients. Add water or milk to thin frosting, add more powdered sugar to create a thicker frosting. These were delicious! I made them for shabbat dessert and everyone loved them. Thanks for all the amazing recipes ! You can use soy milk instead! is there anything i can use for the frosting thats not so sugary? what is a stick of butter in grams ? And how much is a box of powdered sugar in grams? Can I use the juice of a lemon instead of lemon extract?